I ended 2012 on a high note. I ran 1600 miles and had some pretty awesome PRs. 2013 started off rather strong. I had quite a few great months in the beginning. 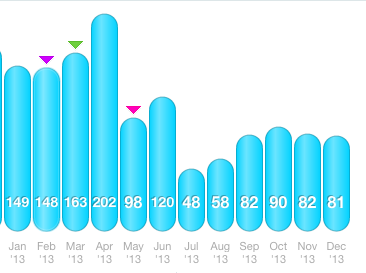 I even ran a 200+ mile month! December is actually now 96!!! I ran my 3rd marathon and had a pretty fantastic PR. Izzy completed her first ever fun run! And Tucker took off like a rocket! I completed my first Dirty Girl with my bff. And then I injured myself. 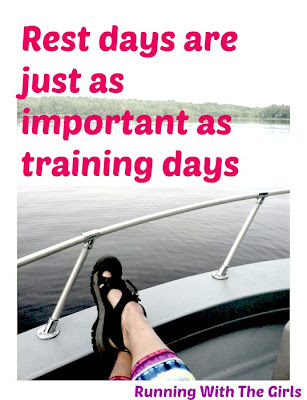 It was series of issues that probably all stemmed back to overtraining. I hit my foot on a rock while trying stand up paddle boarding. Because I was training for GCI, I continued to run on it. Which lead to some major arch pain and then a morton's neuroma. 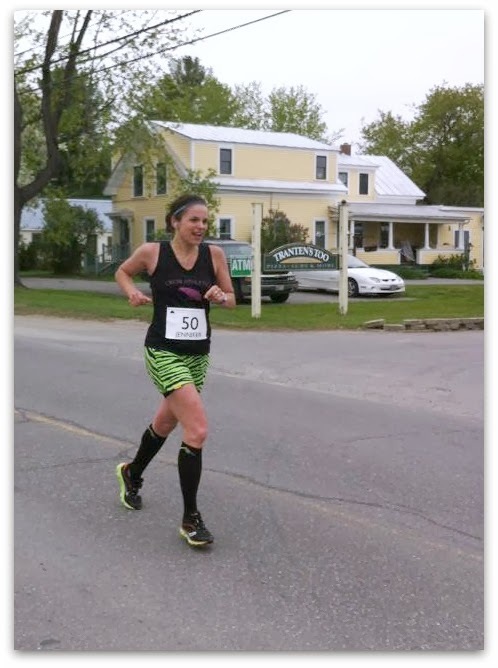 A trip to a sports trainer who hooked me up with a great analysis of my foot and made me a quick insole, several visits to the physical therapist and chiropractor and I felt like I was on my way to run my first ever ultra. Then, 3 days prior to the big day, I bent over to tie Izzy's shoe and pop! The dr's feared it was a meniscus tear but it turned out to be a burst Baker's Cyst. Phew! But I needed to take a step back. I needed to listen to my body and do something different. I missed out on GCI and didn't run Beach to Beacon. But I needed to be kind to my body and that was far more important. I took some time, rested and slowly built myself back up. 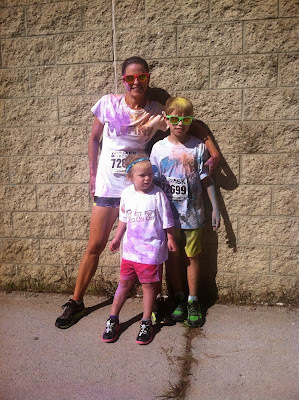 The kids and I did our first Color Me Rad 5k. 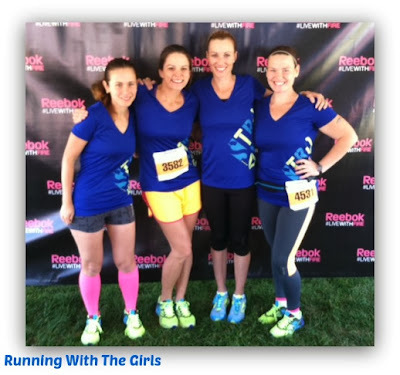 Then I ran for Team Reebok at the Tufts 10k. I teamed up with Jost Running and ran three virtual races with them (and Pepper!). Carrie while she completed her 2nd marathon. I strongly feel that I broke my body by not strengthening the rest of it and only running. I've truly enjoyed taking a step back and incorporating other forms of fitness into my routines. 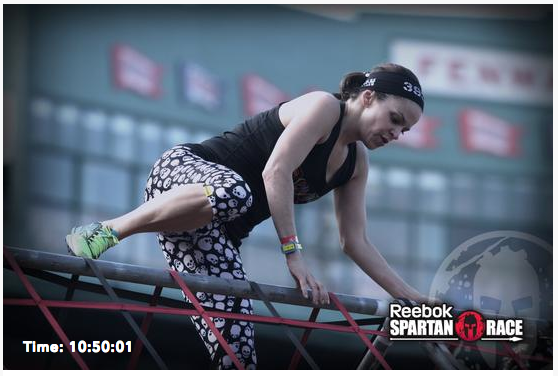 While I was training for my first Spartan, I enjoyed doing some of the Spartan workouts. The burpees, squats, lunges were great! 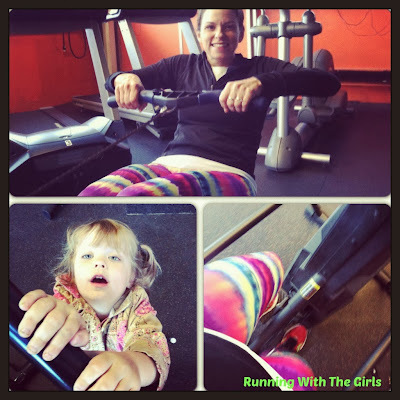 Which helped me (and the girls!) complete Spartan Fenway! I've made it more of a priority to do yoga at least 30 minutes, 3 times a week. I'm adding in other forms of cardio as well with elliptical, rowing, and spinning. These changes are exactly what I needed to do. My body is much happier now and I'm looking forward to finishing 2013 on a strong note and kicking off 2014 with a bang. I've got some fun things planned for 2014 and cannot wait! It is amazing how much cross training helps your body! Although you were injured, I still think you had a great 2013! xoxo. Lookin' forward to following your journey in 2014 :) Happy New Year Jen! Such an awesome year! You rock, my friend! You ended up having a great year even though you were injured!! I can't wait to see what you have planned for 2014! And I love Pepper's photo, she is so cute!